It's easy to use the full geographic reach of your business with the Edraw geological mapping software. Whether you're setting up sales regions, marketing campaigns, or computer networks, you can quickly find shapes for specific regions and countries by using the Search for Shapes feature. You can use the shapes to create your own customized maps or to add map shapes to existing diagrams. These Geo Map Shapes represent most of the countries/regions of the world (some are omitted because their boundaries are in dispute). 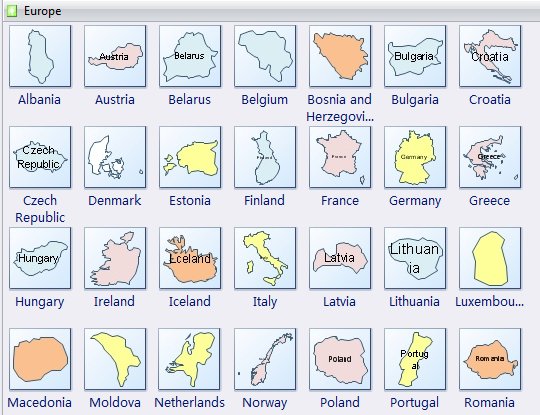 Smooth geo map creation easily with pre-made vector geo map symbols. Instant start from ready-made geo map templates and examples. Super easy editing through drag-and-drop interface and point-and-click editor. Flexible export and share of geo map in various formats. Seamless cooperation with colleagues for Edraw's compatibility with MS programs. Ever-expanding diagramming resources which are added constantly by Edraw team. Free technology support and lifelong upgrade chance. 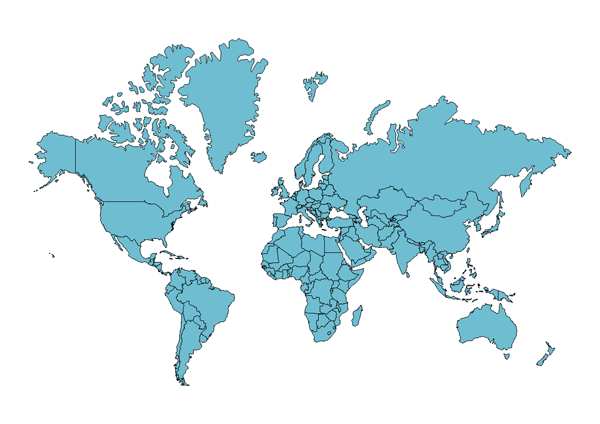 Edraw includes the geo maps of Europe, Africa, Asia, Australia, N. America and S. America. You can also color the individual map shapes and borders and format the shape text to give your diagrams whatever regional emphasis you want. You can click the following icons to review the geographical maps of Asia, Australia, Europe, Africa, North America and South America.